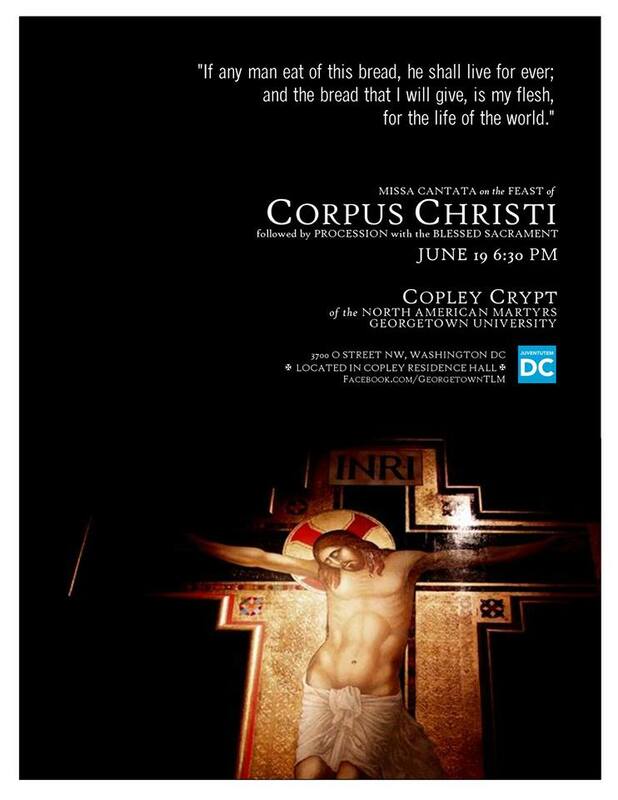 On Thursday evening, May 26, at 6:30 pm, High Mass of Corpus Christi will be celebrated at Our Lady’s Center, 3301 Rogers Avenue, Ellicott City, Maryland. A potluck dinner will follow in the Center’s conference room. Everyone is invited to attend. 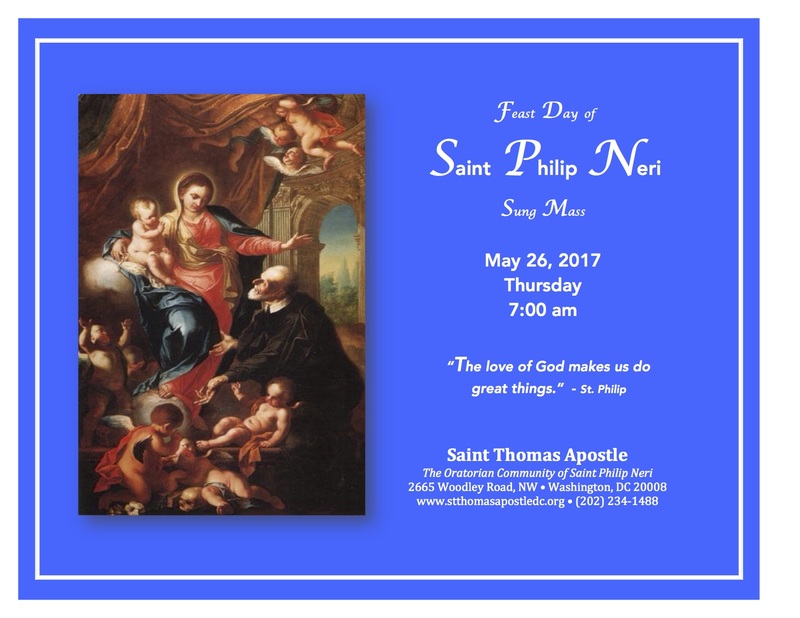 This Mass has been added to our seven-day schedule. A Sung Mass will be offered for the Feast of Corpus Christi at 7:00 am this Thursday morning, May 26, at Washington’s St. Thomas Apostle Church. While Corpus Christi is not a holy day of obligation in the United States, it is still observed on its traditional date in the Extraordinary Form. If we look around us, we realize that there are so many food offerings that are not from the Lord and that apparently meet more. Some are fed with money, others with success and vanity, others with power and pride. But the food that nourishes us and that really satisfies us is only what the Lord gives us! The food that the Lord offers us is different, and maybe it does not seem as tasty as some food that gives us the world. So we dream of other meals, like the Jews in the desert, who regretted the meat and onions they ate in Egypt, but they forgot that those meals they ate at the table of slavery. They, in those moments of temptation, they had memory, but a memory sick, a selective memory. A memory of a slave, not of being free. Each of us, today, it may be asked, and I? Where do I want to eat? At which table do I want to fed? The Lord’s table? Or dream of eating tasty food, but in slavery? In addition, each of us can ask ourselves: what is my memory? That the Lord save me, or that garlic and onions of slavery? With what memory I satiated my soul? The Father tells us: “I have fed you with manna which you did not know.” We recover the memory. This is the task, retrieve the memory. And we learn to recognize the fake bread which deceives and corrupts, because the result of selfishness, self and sin.